22,001 others viewed this post. 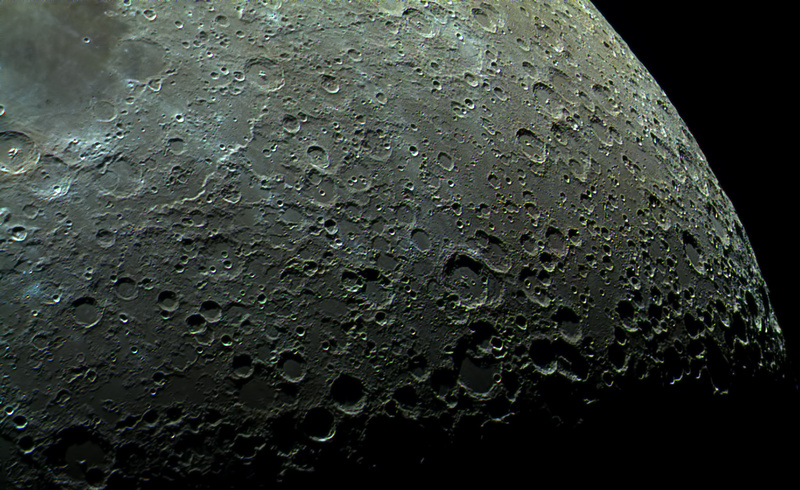 The moon has natural colours that can be seen when processed with enough data and high saturation. The green is said to be lithium and the blue areas titanium oxide. Photographing along the terminator makes it harder to get this colour as it’s shifted.. imagine trying to photograph Earth’s natural blue from space while you are looking down at a sunset! Still there is some good colour separation here. Taken with the Celestron 9.25″ Edge HD and the new ZWO ASI 174mm cooled CMOS camera which takes photos at very high speed! This allowed me to generate this image from about 1000 separate photos! Stacked in AutoStakkert 2 and colour processing in Photoshop. 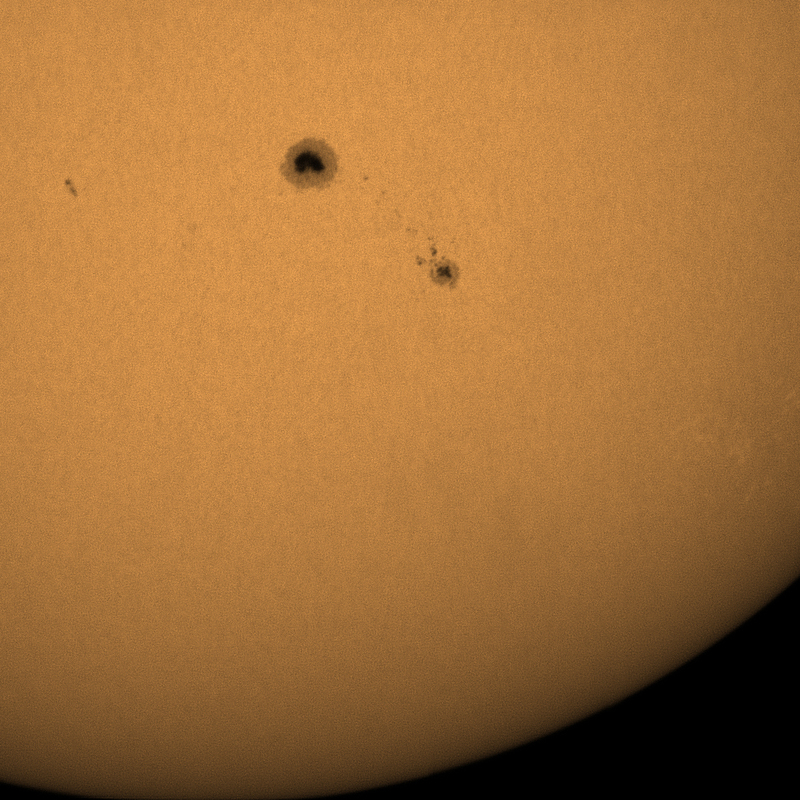 Here is another shot of the sun taken the same day with this amazing new camera generously lent to me from Bintel Australia, Australia’s largest telescope shop.